2016 Christmas Cards + Huge Cyber Monday Savings! The other week I shared some of my favorite holiday card picks from Minted. Today, I’m going to share what card we went with and also the AMAZING Cyber Monday sale that they have going on. Run, don’t walk… EVERYTHING is currently 20%off! 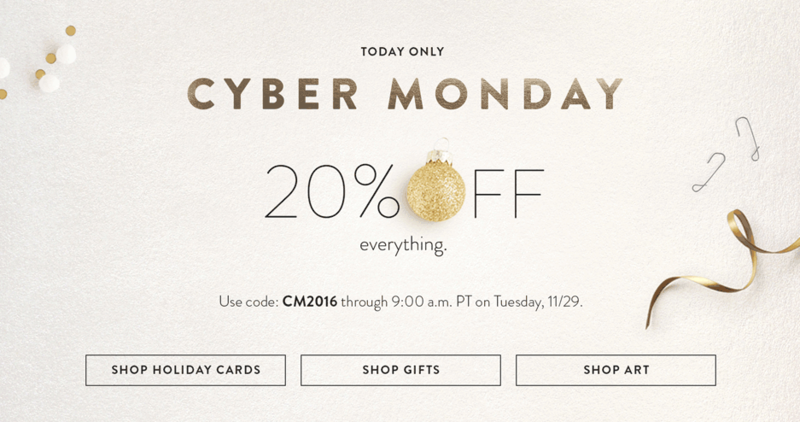 Use CM2016 at checkout. And now for the moment you’ve all be waiting for… our 2016 Christmas crd… I went with a nature inspired Christmas card. I also went with a folded card this year which I absolutely love. Best of all our cards came in a few days early giving me ample time to fold, stuff, seal, and stamp before December 1st! My goal this year was to get all my cards out by December 1st! I might just make that goal! So what are you waiting for… go finish up your Christmas cards–or heck, I’m not judging, go start them! After 9am PT on Tuesday 11/29.2016 you can still receive up to 15% off holiday cards! 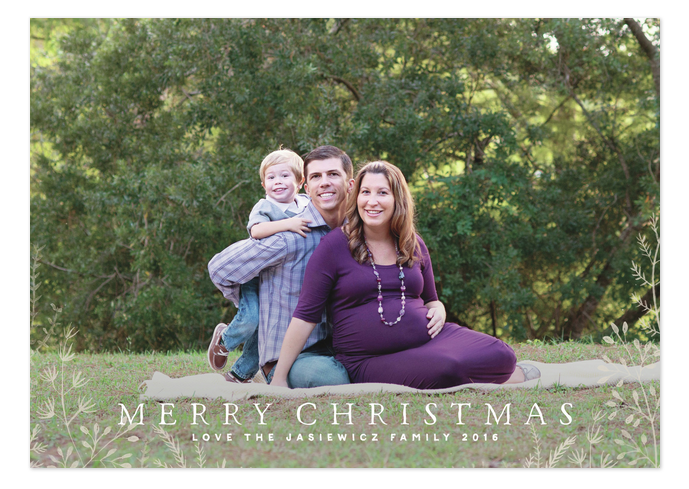 Disclosure: Minted provided me with Christmas cards. There are affiliate links in this post–that means if you click on the links I will make a small percentage of the sale. As always, all opinions are my own.